"Over the last 3 decades, the Remix has become a central form in the world of electronic music. In the beginning it was a simple way to release a 'disco' version of a popular song but it has now developed, in some areas, into highly sophisticated re-imaginings ('re-compositions' even) of electronic tracks and has indeed developed into an art-form. Since their inaugural release in 2004 the Remix has become an essential element of the Nonclassical record. Ranging from edgy hip-hop to sublime ambience this album brings together a selection of the most creative remixes released on the Nonclassical label over the last 10 years, all of which are based on contemporary classical recordings, twisted, cut-up and re-worked into a range of remarkable genre-defying pieces of music. The Nonclassical ‘house rule’ for remixers: "All the sounds used in every remix must be created exclusively from the master recordings of the original - No imported beats or samples". Imposing this strict policy on the remixers forces them to adopt a resourceful yet open-minded approach and ensures that future remixes will carry on engaging and surprising every listener. 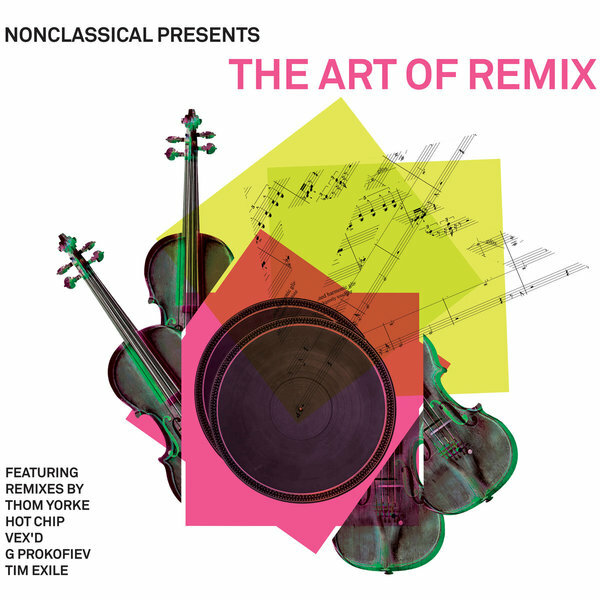 This constant invention and innovation from album to album will ensure The Art of Remix continues to break new ground whilst simultaneously maintaining Nonclassical's pioneering spirit." Inc exclusive material from Thom Yorke, Murcof, Hot Chip, Vex'd, Samoyed and more.